This is information gathered during Alpha and will be updated continuously. In Legion there are six reputation factions. For most of the quests, completing one in a certain zone will reward you reputation with that certain faction its tied to. For detailed information on rewards, click on the certain faction below under Legion faction reputation guides. It´s only at Alpha version at the moment so rewards will most likely change. Also, all the rewards are not implemented yet. Also, each faction has "Boon" that can be bought when hitting revered/honored with a certain faction. Permanently enchants shoulders with the Butchery enchantment, allowing the wearer to obtain Butchered Meat from the corpses of their enemies. Permanently enchants shoulders with Harvester enchantment, allowing the wearer to obtain Harvested Goods from the corpses of their enemies. Permanently enchants shoulders with Gemfinding enchantment, allowing the wearer to obtain Found Sacks of Gems from the corpses of their enemies. Permanently enchants shoulders with Salvager enchantment, allowing the wearer to obtain Salvaged Armor from corpses of their enemies. Mobs have a chance to drop addition to standard loot. 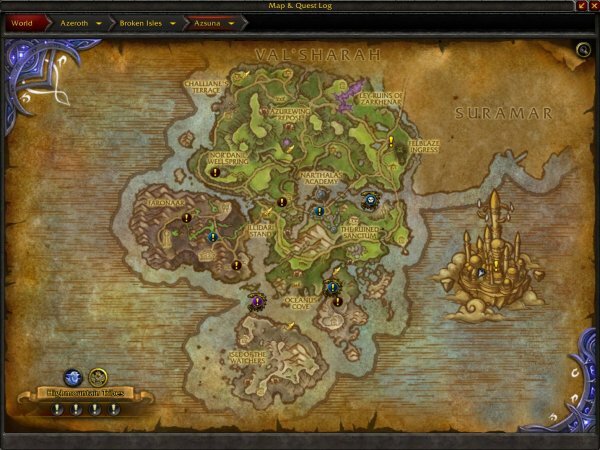 Each dungeon in Legion is connected to a faction. Killing a dungeon boss rewards 250 reputation for the faction it is tied to. Here is the list of what factions are to what dungeon. 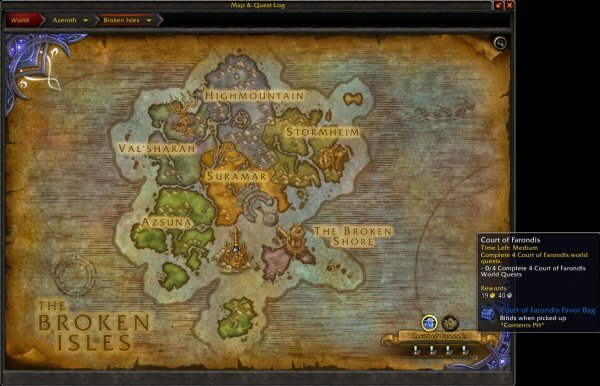 Some are not totally confirmed and only based on dungeon location in The Broken Isles. Eye of Azshara rewards reputation with Court of Farondis. You can assign a Champion follower as combat ally which follow you and support you in in The Broken Isles (click here to check my Class Order Hall follower guide for more info). Some classes have champions that gives you 5% increased reputation gain when assigned as a combat ally. 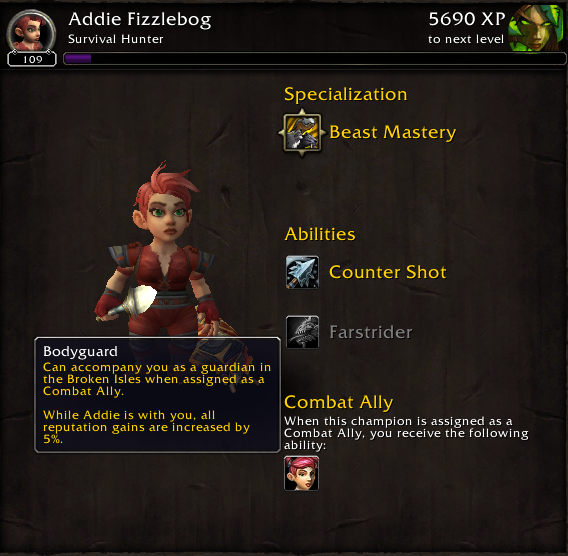 This is still Alpha version so the abilities that Champions have when assigned to Combat Ally will probably change. And I guess that all players will have this kind of ability on one of the champions before launch.